Sometimes destiny is written in the stars; at other times, it’s written in a name. 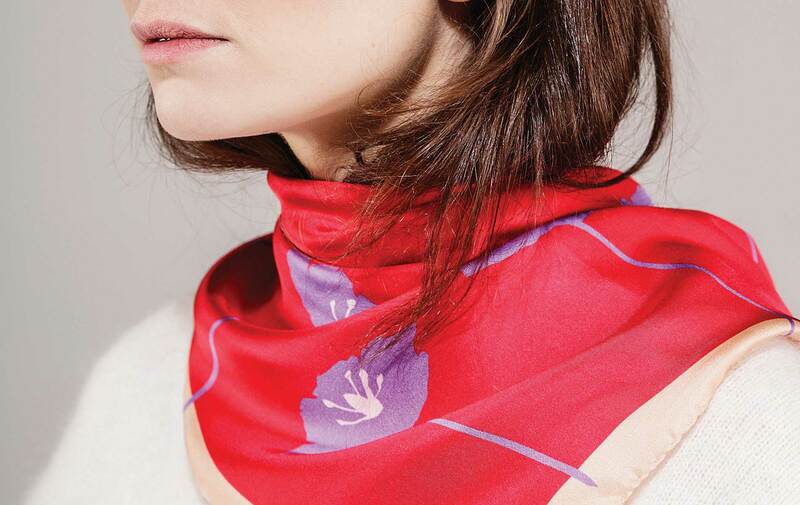 That seems to be the case for Ireland’s latest luxury silk scarf designer from Galway, Ciara Silke, whose surname fittingly corresponds with the traditional fabric of the accessory. 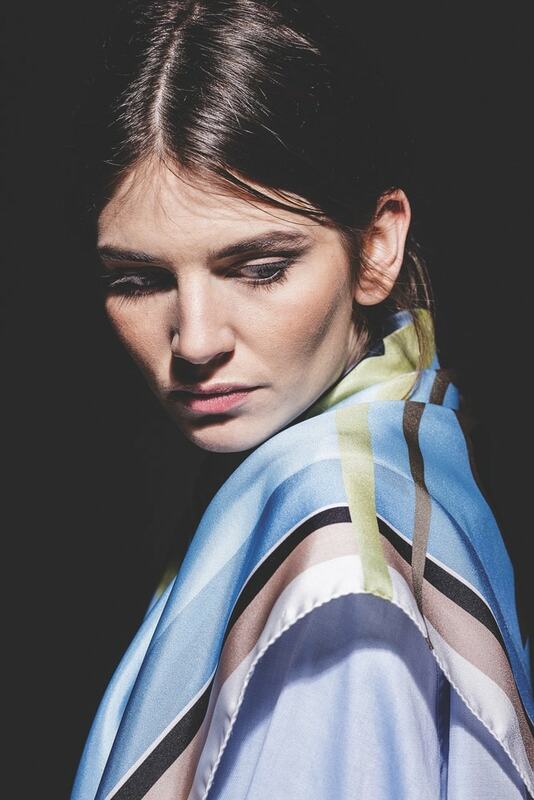 One look and feel of these gorgeous silk twill scarves and it’s clear that she’s mastered the art of luxury. 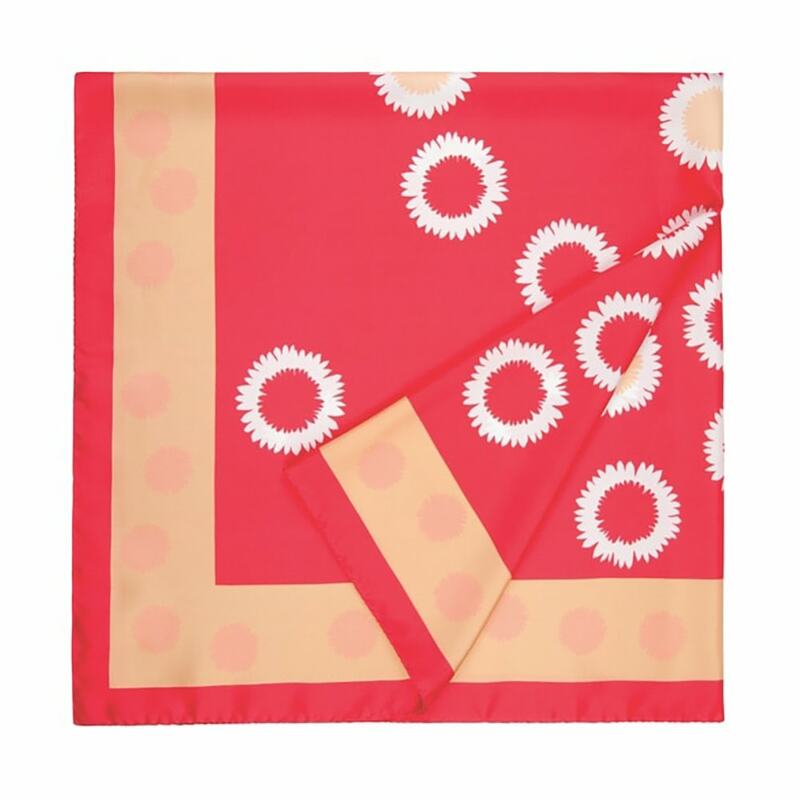 Over the past few years, luxury silk scarves have played a lesser role in fashion, unlike other embellishing accessories such as jewels and headpieces. However, Ciara Silke is changing the way we incorporate the accessory into our wardrobes, bringing it to the forefront of our dressing routine. Not only has she enhanced the appeal of the traditional fashion piece, but she’s also sparked innovative solutions as to how to drape a scarf around the body. 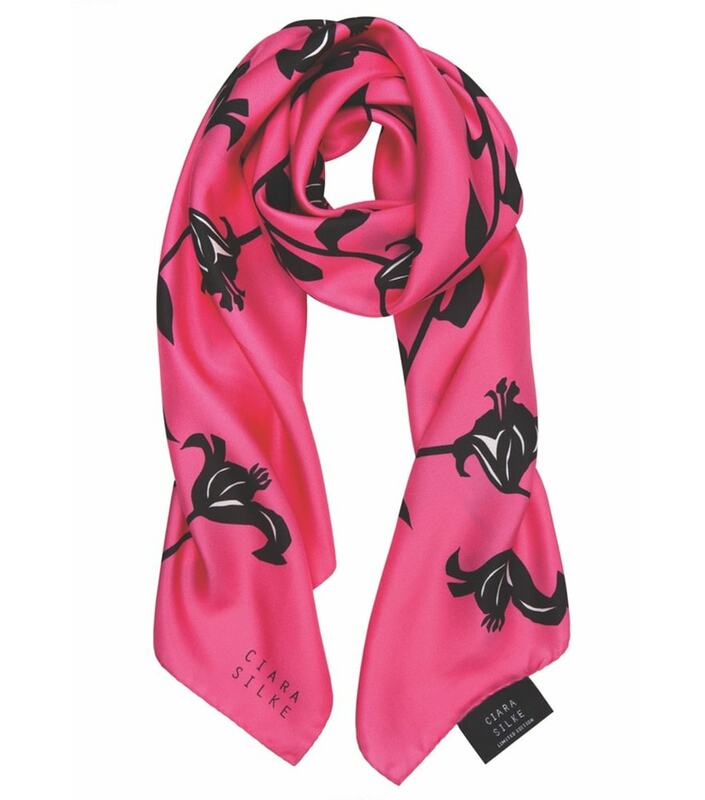 No longer a simple neck piece or a bit of colour to be tied around a handbag, the scarf becomes a main focal point of your wardrobe, thanks to Ciara’s creative solution (which can be found on her brand’s Instagram account at @CiaraSilke). Left scarf is Bláth Poipín in midnight blue, red, and black; right scarf is Swamp Rose in pink and red with black polka dots. Both are 90 x 90cm. Subliminal bliss is the perfect description of Ciara’s collection. Gathering inspiration from the surroundings at her studio in the West of Ireland, her products have become masterpieces unto themselves. The eye-catching and colourful designs are prime examples of what happens when fashion and art intertwine. Flourishing Garden in berry, peach, and white. 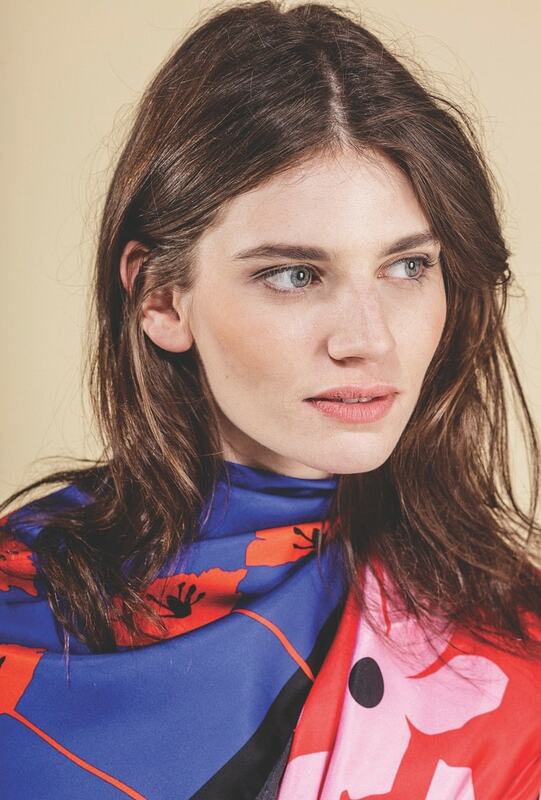 Ciara developed her passion for print and colour in textiles as she attended art classes held in Galway by artist Vicki Crowley, who is known for painting on silk. ‘Crowley greatly influenced me—she was a huge inspiration,’ she recalls. That inspiration stuck with her so much so that she later completed a degree in textiles at the National College of Art and Design (NCAD), and went on to work for the global luxury brand Diane von Furstenberg in New York in both the print and the accessories departments. Ciara developed her passion for print and colour in textiles as she attended art classes held in Galway by artist Vicki Crowley. Not long after that she returned home to teach art in Castlebar, County Mayo, all the while setting up her own fashion label during her spare time, which took off without a hitch. 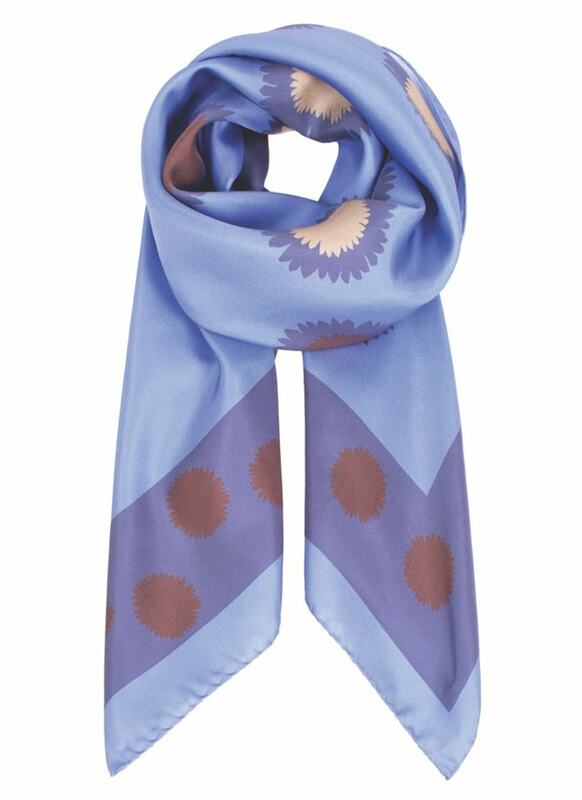 Within two years, the designer silk scarves have seen a significant growth in sales, rising by 10 per cent. As a result, she made the decision to leave education and go full-time and head-on into her rising new career as a self-proclaimed designer. Good thing too, because it’s already been a fast and wild climb up the fashion ladder for Ciara. She has a range of her collection stocked in Kildare Village, the Helen McAlinden boutique in Dublin, and the Pall Center in Luxembourg, among others, and she’s securing stockists in Britain and scaling her business to the United States, the Middle East, and Paris. Not only has she been focusing on expanding her label, but she has also been preoccupied with showcasing her designs in trade shows, such as Design Ireland and Scoop International at the Saatchi Gallery, London, as well as preparing for her first few awards shows. In just two years since the birth of her brand, Ciara has been nominated for Irish Accessory Designer of the Year at 2016 Kerry Fashion Week and was recognized as Highly Commended in the Design Ireland category at the Design & Crafts Council Ireland Showcase 2017. Now you can take a little piece of Ciara’s artwork home and incorporate it into your style; just shop her collection at CiaraSilke.com. But look fast—her prints sell faster than one can wrap them.